I’ve been spending some time searching for waxcap mushrooms (Hygrocybe) whilst in West Wales. 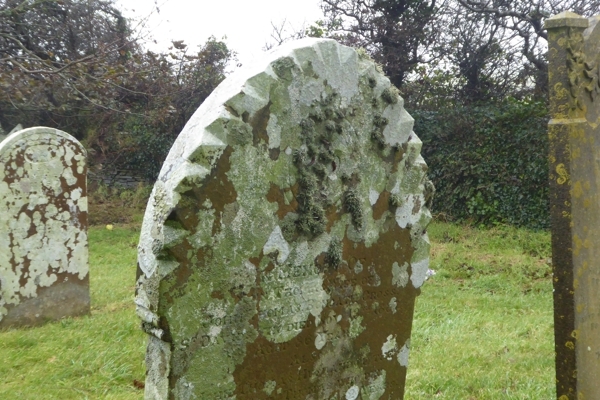 Today, I looked in the graveyard of the small chapel at Berea, near St Davids and I found something interesting. 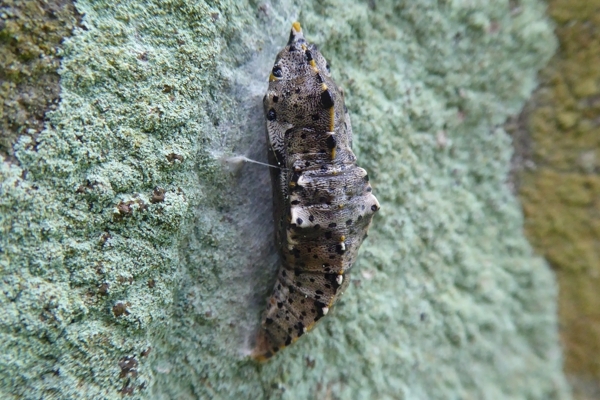 On some of the gravestones, there were a number of chrysalises, tucked into recesses in the stonework. Gravestone at Berea, West Wales. 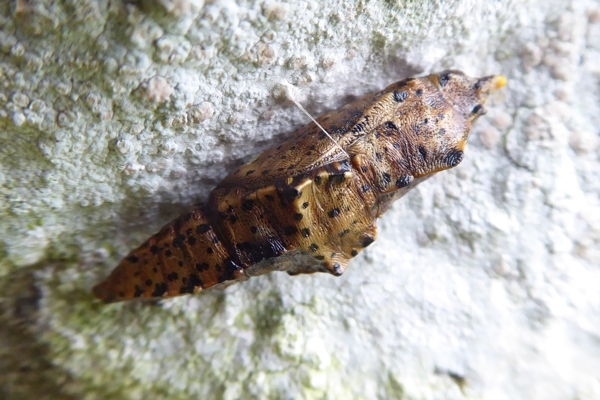 Species of moths and butterflies can over-winter as adults, eggs, larvae or pupe, depending on the species. 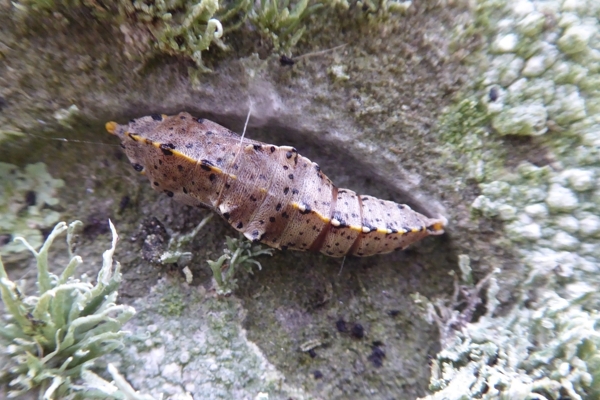 The large white spends the winter as a pupa.The area around St Davids is often windy, being flat and very close to the sea, and the pupae were on the sheltered sides of the gravestones. Each one was held in place by what looks like a single strand of silk. I don’t know whether this is really a single strand or is made from lots of individual strands.